This Lighted Seam Ripper by Mighty Bright has an energy efficient LED light that can last up to 100,000 hours. 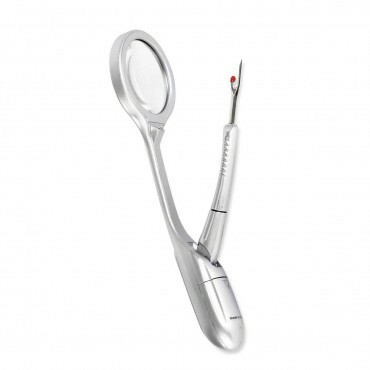 Includes a precisely engineered optical grade lens that spreads light evenly with a 4x magnifier. Equipped with an ergonomic handle, rotating arm, sharp metal blade, and plastic safety cover. 3LR44 micro cell batteries included.